We are currently not accepting applications. Please email Kristen Craig (kristen@gnof.org) to be placed on the notification list for the next cohort. 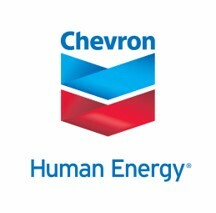 Sponsored by Chevron and brought to you by the Greater New Orleans Foundation’s Organizational Effectiveness Initiative. The job of an executive director is challenging even for the most experienced executives, but for someone new to the position, it can be especially overwhelming. As Executive Directors, how do you powerfully lead your organizations while facing complex leadership challenges? How do you align your organization, staff and board around impact as you struggle to achieve financial sustainability? As daunting as these questions can seem, they are fundamental executive leadership responsibilities. This session, exclusively for new Executive Directors, combines expert instruction and peer-learning to tackle these issues. Executive Director Fundamentals: Setting Up for Success 2018 will take place from Wednesday, November 14-Friday, November 16, 2018 at the Greater New Orleans Foundation’s Center for Philanthropy, 919 St. Charles Ave. New Orleans, LA 70130. This three-day program will be led by Marla Cornelius and Hilda Polanco, CPA, CCSA, CGMA, Founder and CEO of FMA. Marla and Hilda will draw on promising practices from the field, relevant research, and their extensive experience working with nonprofit leaders. Additionally, you will benefit from the collective wisdom of the cohort to create a powerful space for you to think creatively, try on new ideas, and identify action steps to powerfully lead yourself and your organization. You are a new executive director; have been in the role for 3 years or less. You are ready to invest in your personal and organizational development. You desire to think strategically and proactively about your individual leadership practice. You want to learn promising practices about nonprofit leadership, governance, and financial management to more powerfully steward your organization. You are excited to learn with peers, share your experience, and are open to others’ ideas. You would benefit from being in a safe, confidential, and generative learning environment. Neither you nor your organization is in crisis mode so that you are able to take full advantage of this program and can make it a good investment of your time and your organization’s resources. Participate in periodic follow-up networking activities with your cohort peers. Strengths-based Leadership: Identify your individual talents using the StrengthsFinder assessment and begin to explore how you can maximize your strengths in your role as Executive Director. Financial Literacy and Leadership: Understand key nonprofit financial management concepts and strategies for sound budgeting. Learn how to assess the financial health of your organizational. Learn the principles of financial leadership. Aligning People to Purpose: Learn a framework to more powerfully align your staff to their positions and the needs of the organization. Understand the roles and responsibilities of effective supervision, including expectation setting, feedback, professional development and coaching for problem solving. Boards & Governance: Learn the principles of nonprofit governance and the board’s fiduciary obligations. Understand the roles and responsibilities of the board and how to maximize board engagement. Learn techniques to create a powerful and supportive partnership with your board of directors. Action Planning: Have identified a set of commitments and actions to further develop in your role as Executive Director. Executive Director Fundamentals: Setting Up for Success is a three-day intensive program that will take place 8:30 am to 5:00 pm each day from Wednesday, November 14th through Friday, November 16th, 2018. Full attendance in all three days is required. Participants who cannot attend all sessions are not eligible. Click here for the application, and please note that space is limited. Applications are accepted and reviewed on a rolling basis until the class is full and is subject to approval. Payment is due promptly upon acceptance into the cohort. Organization with a budget of less than $1 million, the fee is $500.00. Organization with a budget between $1 million to $3 million, the fee is $750.00. Organization with a budget of more than $3 million, the fee is $1,000.00. Please note, we never want money to be the reason you can’t attend the Executive Director Fundamentals: Setting Up for Success. We have a small pool of funds available to partially offset the program costs for qualified participants. Please email Joann Ricci (joann@gnof.org) with the subject line “Executive Director Fundamentals-Scholarship-Your Name” to share if the fee would cause a hardship for your organization and is a barrier to your possible participation.